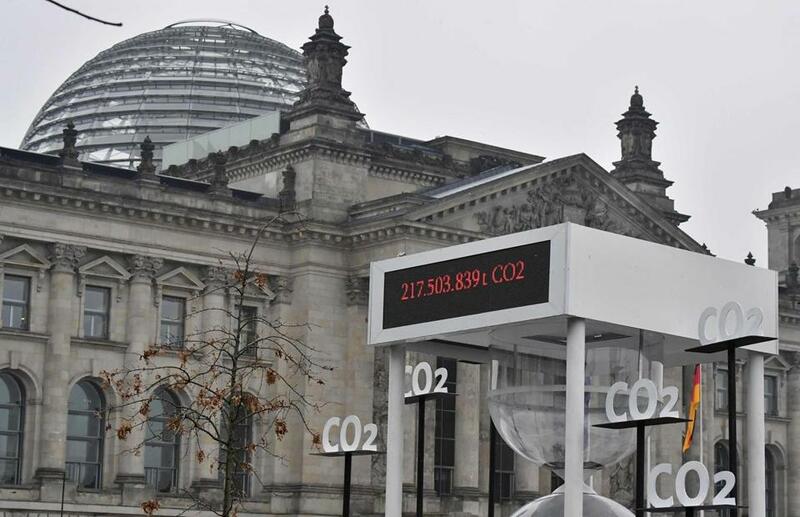 Germany marked ‘CO2 Day’ in Berlin on March 28, the day on which the country had completely exhausted its CO2 budget. A new reading found the planet’s carbon dioxide levers continue to increase. Carbon dioxide concentrations — whose ‘‘greenhouse gas effect’’ traps heat and drives climate change — were around 280 parts per million circa 1880, at the dawn of the industrial revolution. They’re now 46 percent higher. As a recent federal climate science report (coauthored by Hayhoe) noted, the 400 parts per million carbon dioxide level in the Pliocene ‘‘was sustained over long periods of time, whereas today the global CO2 concentration is increasing rapidly.’’ In other words, Earth’s movement toward Pliocene-like conditions may play out in the decades and centuries ahead of us. Even farther back, in the Miocene era between 14 million and 23 million years ago, carbon dioxide concentrations in the atmosphere are believed to have reached 500 parts per million. Antarctica lost tens of meters of ice then, probably corresponding to a sea level rise once again on the scale of that seen in the Pliocene. These data points help show why it is that scientists believe that planetary temperatures, sea levels, and carbon dioxide levels all tend to rise and fall together — and thus, why Earth is now headed back toward a period like the mid-Pliocene or even, perhaps, the Miocene, if current trends continue.